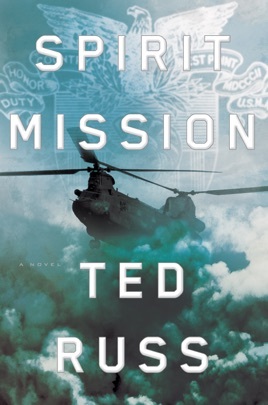 To honor bonds forged twenty-five years ago at West Point, Lieutenant Colonel Sam Avery leads an illegal mission deep into ISIS-held territory. An MH-47G Chinook helicopter departs formation in the Iraqi night. The mission is unauthorized. Success is unlikely. But to save a friend, Sam Avery and his crew of Night Stalkers have prepared for one last flight. ISIS operatives in Tal Afar, Iraq, have captured American aid worker Henry Stillmont. Avery knows Stillmont as “the Guru,” the West Point squad leader who taught him about brotherhood, loyalty, and when to break the rules as a young cadet twenty-five years ago. Sam will risk his career and his life to save him. As they near their target, Sam reflects on his time in the crucible of the United States Military Academy. West Point made Sam the leader he is. But his fellow cadets made him the man that he is. The ideals of duty, honor, and country have echoed throughout his life and drive him and his comrades as they undertake their final and most audacious spirit mission. In 2015, U.S. Army aviator Sam Avery, the narrator of Russ's exciting, cleverly constructed first novel, is the pilot of a Chinook helicopter on an unauthorized mission into Iraq. Flashback to 1987. Sam arrives at West Point and is immediately submitted to the harassment inflicted on all cadets every minute of their day for their entire first year. Sam rooms with Cisco Guerrero, who earns the nickname Turtle because of his slowness. Of particular interest is the upperclassman known as Guru, who takes the new cadets under his wing and is soon sending them on "spirit missions," fiendishly elaborate unsanctioned pranks that are undertaken for the sheer glory of pulling them off. Years later, it's Turtle and Zack Dempsey, another West Point roommate of Sam's, who show up in Iraq and tell Sam that Guru, now a charity worker, has been taken prisoner by ISIS and will be beheaded in 24 hours unless they rescue him. Once again the old friends are on a spirit mission, this time against seriously deadly odds. A fantastic trip through West Point and a gripping aviation rescue tale! A fantastic, nuanced and extremely well-written portrayal of cadet life woven together with a highly suspenseful military aviation rescue tale! I was in the same class as Ted (USMA 1991) and attended flight school with him at Fort Rucker, and he has absolutely nailed it. Without a doubt, this is an honest, accurate and rare glimpse into life behind the gray stone walls of West Point, the Army-Navy rivalry, and the hearts and minds of Army aviators. Not just a great "first effort". This is an outstanding novel. If you went to the Academy, it will feel like a trip back in time with an incredible amount of highly accurate detail, nostalgia and rich character development, but Spirit Mission is worthy of a read by anyone who wants to enjoy an exciting, thought-provoking and even occasionally very humorous trip through the Academy and the business end of Army Aviation. Bravo, Ted. Well done. And Beat Navy!